Jazil, 2006 Belmont Stakes Winner, Gone too Soon: 2006 was a year of tragedy. Barbaro was a hero when he won the Kentucky Derby, and there was a lot of talk about him being the 12th Triple Crown winner, with confidence coming from his dominance in the Kentucky Derby. That dream would die in the 2006 Preakness when Barbaro broke through the gate before the start of the race. After a quick vet check, he was reloaded and the field was sent on their way. Barbaro would be pulled up before the first turn of Pimlico. He would suffer a broken right hind leg. While he was not running, the race went on. Bernardini went on to win the race. Jazil was not a prominent stallion, but he will be missed by all those connected to him. Recently, another three-year-old of 2006 has died. 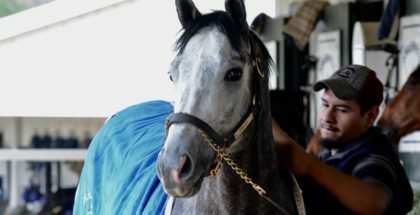 The stallion was fourth in the Kentucky Derby, but would return to win the Belmont Stakes. Jazil passed away Saturday at Shadwell Farm due to injuries he sustained in a paddock accident. As a racehorse, Jazil was slightly consistent. In eleven starts, he hit the board seven times, but only hit the wire first twice. Those two wins came in his maiden score in 2005 and the Belmont Stakes in 2006. 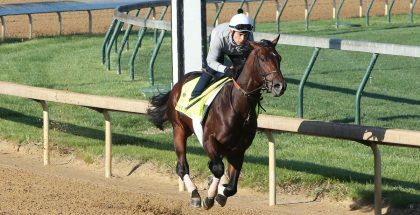 He also finished second in the G1 Wood Memorial, which was his final preparation race for the Kentucky Derby. He did run well in the Kentucky Derby, even though he did not hit the board. Jazil would race three more times after his second win, the Belmont Stakes. He would return in 2007 in an Allowance Optional Claiming at Aqueduct, but finished second. He would again race in an Allowance Optional Claiming, but at Gulfstream. He finished second again. This time, he was beat by Corinthian. 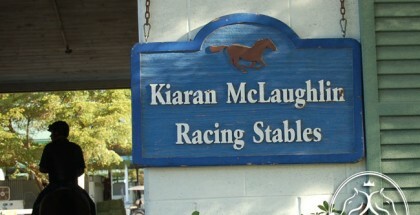 His final start was in the grade three Fifth third Elkhorn Stakes, on the turf, at Keeneland. He finished last, 17 lengths behind the first horse. From there, it was time for Jazil to retire to stud. He stood at Shadwell Farm for an entry stud fee of $12,500. He was dropped to $10,000 in 2009. In 2010, 2011, and 2012, Jazil stood for $7,500, before being dropped to $4,000 for 2013 and 2014. Jazil did not live up to any expectations that were held for him as a sire. His sire, Seeking the Gold, had other horses carrying on the sire line, and Jazil was not the best racehorse, likely contributing to his low fees. His best performers are outside the United States. His current top performer is Comediante (VEN), who is a group one winner of the Clasico Propietarios La Rinconada. In the United States, his current top performer is Farhaan, who most recently, won the Alydar Stakes at Saratoga. Jazil was not a prominent stallion, but he will be missed by all those connected to him. Shadwell had been with him throughout his racing career and his stud duty. Jazil was young in years and could have continued to stand stud. The accident is unfortunate, and he will be missed, no matter his prominence in the American breeding scene.